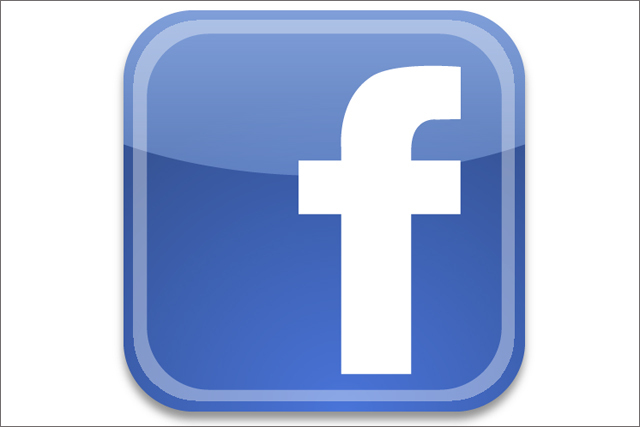 In just over two years Facebook is expected to have two billion users. Tom Smith, founder of GlobalWebIndex, explores the implications of seven waves of trend data. Since launching the GlobalWebIndex three years ago, we’ve tracked the incredible growth of Facebook from social upstart to the central pillar of the global internet. Despite the central role it plays in the internet, it has become fashionable to knock Facebook since its IPO and the sliding value of its shares have rocked confidence, raising questions for both marketers and advertisers. However the seven waves of global research we’ve collected since launching in July 2009 paint a highly positive picture thanks to the globalisation of the internet. Yes there are sliding engagement rates in the original Facebook markets, primarily the US. However as our latest report, Social Platforms Global Adoption Trends 2012, shows this is more than compensated for by massive adoption growth in the emerging world. Despite recent concerns growth continues to be relentless. Today in the markets we track Facebook has more than one billion accounts with 64% being (653m) active users (in the past month) of which 43% (273m) were active via mobile. These figures are lower than Facebook’s published numbers because our research defines active as direct use of the service or making one or more contribution in the past month, whereas Facebook includes visits to the site or engagement with like buttons anywhere across the web. Back in July 2009, Facebook had just 162m active users in the 16 markets we launched in; this is now 462m in the equivalent 16 markets, an expansion of 284%. The extent to which emerging high growth markets are driving adoption can be made by comparing the US to Brazil and India. In 2009 the US had 73m active users in 2012 this was 102m, a more than respectable growth rate. However in the same period Brazil grew from 6.9m to 50m and India went from 18m to an incredible 77m. This is thanks not just to a shift from Orkut and local providers to Facebook but primarily due to a massive expansion of the internet adoption bringing tens of millions of people online, consumers who create a Facebook profile as a default. It is also underlined by the markets that overtook the UK in size on Facebook in 2012. These include Russia, China (thanks to VPN access), Philippines, Indonesia and Turkey. One key aspect of this rapid adoption is how US originated social platforms have removed the barriers to an amazing internet experience wherever you are in the world. The localisation of social services means users in any markets can adopt and utilise best in class services such as Facebook or Twitter without waiting for local providers and services to step up and develop an alternative. This explains the demise of local players like Studiviz or Mixi. This continued growth will without doubt drive Facebook onto two billion accounts, which according to our data, will happen in Q4 2014. In all probability by that point the US will no longer be the largest market on Facebook. That title will belong to India. Mobile is redefining how users utilise all social media and Facebook is no different. According to our latest data, 40% of Facebook’s active user base access the platform via mobile. This is common on all leading social platforms, with 48% of Twitter’s user base also updating by mobile and 50% of Google+’s. What our data does reveal is that mobile usage is for the most part supplementary to PC, with just 5% of Facebook's user base exclusively using a mobile device. This is reassuring for Facebook which has to date struggled to develop a brilliant mobile experience and advertising product. The truth is, users are using mobile devices to stay constantly connected, extending their internet experience rather than replacing the PC. Further good news for Facebook comes from the fact that growing competition from Google+, Twitter, Pinterest and others is not hurting the company. Users are adding on services rather than replacing them. This is apparent when looking at the average number of services a user is active on; an active Facebook user is active on 2.6 social services, while an active Pinterest user is active on 5.4 social services. There is no evidence that Facebook is becoming the new MySpace. But while Facebook continues to expand, our 2012 report also highlights that usage is becoming more passive with less focus on peer-to-peer communication. We are relying on Facebook to tell us things, keep us up to date with new content and allow us to follow our icons and passions; social media is evolving from "peer-to-peer" to "one-to-many". Consequently contribution levels are falling globally with messaging friends falling 16% to 69% of Facebook users in Q2 2011 and is a trend that is particularly marked in the US. This isn’t bad news for brands. As users become more passive over time and increasingly turn to people in the public eye or well known organisations for interesting content; social will eventually operate as the primary distributor of media, particularly as it becomes integrated into smart TVs and via second-screen integration. This could also be good news for Facebook as well, as its much easier to monetise quality content and experiences than peer-to-peer communication.